Come see the CoLab Studio in Duke's Technology Engagement Center. Duke Staffers will be opening the doors 30 minutes prior to the popular Rhino and Fusion 360 workshops that will also be happening in the same facility. The recently renovated studio houses sixty-five digital fab systems including 3D printers, laser cutters and milling machines and serves as Duke’s makerspace. This walk in tour is a great opportunity to poke around and get ideas for your own campus spaces or meet Duke staff members responsible for managing the facility. Limited seating will be available on shuttles to assist people transiting back and forth from the JB Duke Hotel. The facility is located on Duke’s west campus at 12 Telecom Drive, Durham NC 27708 for users choosing to walk here from the hotel. For walkers and selfie opportunities, you will pass through the lovely West Campus and in front of the iconic Duke University Chapel on your way to and from the conference venue. This hands-on session with be fast but directed by the audience, prepare to answer questions and get what you need to be successful in your classrooms! Important note: Please bring a laptop and if you can, download and install Fusion360. Here's the link: http://www.autodesk.com/products/fusion-360/overview . You just need to click the “download free trial” button. It’s a bit of a misnomer – it’s the full software. I like to use a mouse with CAD programs, but that's up to you. This is a pre-conference workshop led by renowned Rhino trainer Andres Gonzalez. Design and concept development come to life in numerous real-life examples in this workshop that introduces participants to the logic and principles of parametric created 3D-Forms. 1) Bring your own laptop. Basic knowledge of Rhino highly recommended. You can install a 90-day trial version of the application. The Technology Center is a 10 minute walk from the JB Duke hotel. There are also shuttle buses available. Let’s get hands on with creating some hinges! This hands-on session with be fast but guided by the attendees! We can adjust to make it the best session for you so come prepared with questions to get what you need to be successful in your classroom, maker space or lab. Come and see the latest on Generative 3D Design with Rhino and Grasshopper by the director of RhinoFabStudio, Andres Gonzalez. Generative 3D Design with Rhino and GH is a new way to 3D model, where a design describes a change. It is the transition from entities to operations. A form is created by a series of mathematical operations, instead of being the outcome of applying a conventional command. This presentation is for 2D or 3D designers who are exploring new shapes using generative algorithms, like Grasshopper®, a graphical algorithm editor tightly integrated with Rhino’s 3D modeling tools. In this session, we will conduct a post-mortem of this unit. I will discuss what worked, what didn't, and what I would change and iterate the next time I teach this unit. Participants will model the design process as we review and revise this activity so that each attendee can take home a second-generation lesson. Harlan Howe is a computer science teacher and Upper School technology coordinator at the Kinkaid School in Houston, TX. This is his 24th year teaching. 3D printing is mainstream and readily available. It fits nicely in the STEAM model—integrating science, technology, engineering, art, and math with meaningful personalized learning opportunities. It can be seen as a creative technology that to allows us to express ourselves, explore 3D puzzles and solve authentic problems. It might even be considered as a 21st century form of whittling—allowing us to create and refine artefacts that meet our desires and needs. Artefacts that we might choose to share with others who might simply rescale and adjust to print, or who might remix and reform to fill a different need—and share again. 3D printing is accessible to intermediate and middle school children. Besides the creative potential, it brings a tangible object and process to support the learning of fundamental mathematical concepts (coordinate systems, scale, mirroring, rotation, time, rate, density, etc.). As teachers of mathematics, we need to engage with 3D printing, we need to climb over the threshold of the technology by tinkering, exploring and mastering its potential and then develop accessible, low friction activities and challenges that allow for personalized learning. In this presentation, we will share our experiences and thoughts on this engagement and development process. 3D Drawing at Our Fingertips will use 3D pens to showcase how they can be used in the classroom. 3D pens are an inexpensive way for students to experience 3D printing. Participants will be able to practice using a 3D pen and create a 3D object from a 2D drawing. Funding opportunities for teachers to purchase their own 3D pens will also be shared. Teachers will learn how 3D pens can be used in all academic areas. Giving students an opportunity to create a 3D object using their own drawings makes learning meaningful. Students can create a 2D picture and then bring it to life with a 3D pen. Using a 3D pen, students will be able to create a visual representation of their learning. The possibilities for creative uses are endless. Sharri Duncan is the Art Teacher at John W. Moore Middle School in Florence, SC. and is Nationally Board Certified Teacher with over 15 years experience in education. She teaches gifted and talented art students for the FSD1 Horizons Gifted program. 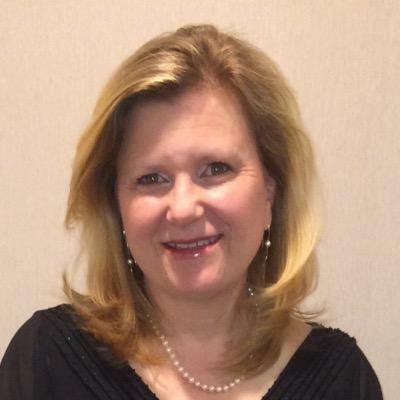 Joanna McCumber is a Math Coach at John W. Moore Middle School in Florence, SC. She has her Master's plus thirty in Educational Technology. Joanna taught 5th grade math for 10 years before becoming a STEM Coach. Rigid plastic materials are what most people think of when it comes to 3D printing. Soft materials, for the most part, continue to undergo processing using traditional manufacturing methods, like molding and casting. However, numerous soft materials are also well-suited for 3D printing, and the full potential for 3D printing of soft materials is largely untapped. An overview of the future possibilities for 3D printing with soft materials will be discussed, along with important basic material parameters. A review of selected technologies that enables these new materials will be presented, including the Discov3ry extruder and the Discov3ry Complete from Structur3D Printing. Digital fabrication tools offer exciting possibilities in the realm of fine art, however for many who want to offer these processes to their students, there may be no clear path regarding how to incorporate such methods into their current curriculum or coursework. 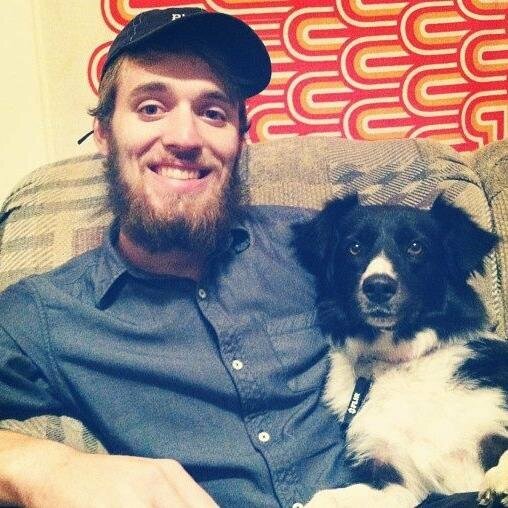 In an effort to contribute one version of how that can work, Associate Professor Colby Parsons will present his own efforts to expose students to 3D printing, CNC milling, and laser cutting, particularly by introducing these things as part of foundational art coursework in a relatively small art department. Digital fabrication methods provide a rapid means of form making, but do not necessarily cultivate creative problem solving skills, multi-dimensional thinking. This presentation examines methods of pedagogy that encourage students to pivot within the creative space through multimodal explorations and interludes. A series of reflective exercises — Design Popups — were integrated into a 15-week sophomore-level design studio. Students were introduced to digital as well as analog methods of design production and analysis (3D printing, laser cutting, metering, sketch models). Throughout the semester, students were provided with opportunities to consider alternative solutions, explore issues of materiality, test assumptions, and reconcile misconceptions as part of the design iteration cycle. Preliminary results showed that shifting between different modes of production and analysis, promoted deeper engagement and understanding of design tools and decisions but also revealed insights about the role that (dis)comfort plays in exploring and risk-taking with new methodologies. The presentation will feature examples of student work and assignments. Time will be provided for questions and open discussion. Access to prosthetic devices has increased due to the advent of 3-d printing and other inexpensive prototyping platforms. This prompted a boom in the fabrication of 3-d printed hands and arms for children and teenager, allowing for the easy replacement of parts as the recipients grow or damage their devices. However, recipients are asking for more specialize, custom devices to play and be involved with sports. Our student organization, GRiP, developed the playful prosthetic in response and has delivered custom devices including drumstick arms, a kayak paddle holder and a guitar arm. Beyond the development of these devices, they created STEM sessions to interact with the recipients and teach them about the design process. Wake Technical Community College obtained a 3D printing Grant, MODEL3D that provided for opportunities to explore integrating 3d Printing in exsisting Biology and Anatomy courses. Data, expetiences and examples of curriculum development and student experiences will be discussed. The presentation will include many of the ideas and samples achieved over the years of development. Various protein models of increasing complexity will be discussed and details will be provided for hands-on and will disclose how to generate them from various applications and how they were sliced and printed. Particular focus will be on using low cost printers, like the Dremel3D40 and still achieve amazing results. Various project resources will be provided and discussed to allow anyone to integrate 3D printing into Science courses. All sites and features discussed are documented with QR codes and links to help the participants to quickly find resources of interest to them. This is about sharing resources and getting 3D printing in the hands of science students to motivate and allow them to discover what hands on learning can do. The presentation has many items that you can download and review. Handout will be provided to embellish the discussion. Engineering design integrity is dependent on the elastic properties of the materials used. Reliable measurements of the elastic properties is crucial to develop a prototype of a functioning model of the design. Young’s modulus is a mechanical property that can determine the stiffness of an elastic object. It is a crucial property that can determine the strength of materials and how they react to tension and compression. The infill density, infill patterns, and nozzle diameter can affect Young’s modulus since they change the amount of material that is printed in an object and how porous it will be. As the infill density in a print increases the material approaches the properties of a cast object with the same material. Moreover, the young’s modulus can also be affected by the slicer because all slicers do not accomplish the additive process for the same infill density and infill pattern identically. Therefore, the elastic properties will tend to change with the machine for the same infill density and fill pattern. In this research three commonly used thermoplastics: PLA, ABS, and Nylon Bridge are used. Cylinders of different fill patterns and fill densities were printed in three different 3-D printers and they are compared. After determining the varying Young’s modulus of these three filaments, the next challenge is to create a single object that has multiple infill densities or patterns as required in a prototype. The applications for this in engineering is vital for enhancing the structural integrity of 3D-printed objects like impact resistant helmets. Most 3D printers today do not have the generic ability to print a single object with multiple infill densities or patterns. In addition to the availability of Simplify3D which is viable for some machines, it is possible to bypass the slicing software tied with the printer to potentially create an object that varies in its infill across its component parts. This research also tests this innovative mechanism of printing with multiple infill densities in the design of impact resistant helmets for sports. Printing using alphabet blocks made out of wood or lead has been around for over 600 years, since Gutenberg and before. 3D printed alphabet blocks show promise in supplementing or replacing the decades old subtractive technology. This presentation shows how researchers and students at Ryerson University use scientific methods to measure and compare old subtractive and the new additive technology. In Fall of 2016 I adapted my Inquiry style multivariable calculus by including 3D printed manipulatives. The goal was to have students explore physical copies of the standard quadratic surfaces. In addition, by creating surfaces that only contained the level curves, we could project the shadow of the surface to obtain contour plots. Finally, the students were given the contour plot of a function not defined by an equation. After attempting to build the surface out of modelling clay, they were able to check their solution against a 3D print of the surface. I have been mostly working on bringing 3D prints into my classes to help students learn mathematics. This session will present on how to use children's book as a means to stimulate ideas for 3D printing. This method has been used with elementary age children to introduce 3D design. Several classrooms have common reads and we want to use those readings to be jumping off points for design projects. We are currently looking to move this approach into Middle schools. Nathan Stevens is the Assistant Director of METRC Library in the College of Education at NCSU. He uses 3D printing in several classes as a means of expression. He has been featured by Tinkercad for his diversity-based designs. This session will focus on creating an entry level project using drawing to connect with math or science standards at the K-5 level. Examples of how 3D printing is being used with K-5 students will be shared to bridge into the opportunity to explore in more depth one of the projects using Morphi or Tinkercad. As an application of 3D printing technology to the construction industry, a semi-autonomous drilling tool was designed as a proof of concept to help reduce the use of human labor in dangerous construction environments. The drilling tool, composed of custom, 3D-printed PLA components, was built to traverse along the length of an I-beam and drill at any given 2D point along the beam using a second, stepper motor powered axis of movement. The tool was 3D printed in 8 separate pieces designed with Autodesk Fusion 360 and assembled along with the drill, wheels, motors, Arduino microcontroller, and electronics necessary to coordinate the system. This tool was able to successfully move along a testing I-beam (wooden) and drill at preprogrammed points. This design is now being adapted to a quadcopter mounted system. The frame of the quadcopter is also custom designed using Autodesk Fusion 360 and being constructed by 3D printing in PLA. Several components of the tool are being redesigned to reduce weight, and the new flight components (ESCs, rotors, flight batteries, etc.) will be added to the design. This allows the entire tool to fly using four rotors, land on an I-beam, and carry out the drilling process. The tool can then take off and land on a separate I-beam to continue its task. This would serve as a prototype for a larger-scale, real life application of drone technology in the construction field. Desktop 3D printing arrived in the center of a perfect storm of accessible open hardware, software and 3D scanning, a virtuous circle that offered pathways and entry points into a previously inaccessible and expensive process. At the School of the Art Institute of Chicago (SAIC) the introduction of low cost, 3D printing on campus opened the floodgates to a sea change in making for the campus community. This presentation will discuss the challenges of integrating digital fabrication workflows into the SAIC curriculum and talk about lessons learned over the last 6 years of desktop 3D printing, sharing creative outcomes, curricula experiments and current projects. The frame factors of a k-12 environment are unique in nature for integrating new technologies into the curriculum. 3D-printing is also a unique area which lies in the intersection of science, technology, engineering, arts, and math. Such an opportunity to integrate curriculum needs a paradigm shift in resource planning in a k-12 environment. Traditional sources of money, allocation and training of manpower, usage and maintenance of machines or equipment, and time planning are inadequate to meet the challenges and reap the rewards in this integration process. The authors will share their experience in this area of integrating 3D printing into the curriculum and the changes they made in resource planning and maintenance. This has been a living breathing process that has evolved over a period of three years. It has involved the participation of all the stake holders to make it a sustainable learning environment that can integrate the advancement of technology into curriculum. Currently it has reached a threshold where it has started attracting even those who were originally apprehensive to join the process. objects involve high level computational methods, many of these prints can be done using tools which will be familiar to 3D print designers, such as OpenSCAD and Mathematica. This talk is intended for a general 3D printing audience and does not require a background in differential equations or dynamical systems. Topics include: Fractals, including Iterated function systems, Julia sets, and Mandelbrot sets; Chaotic attractors in discrete and continuous time; Spatiotemporal solutions for partial differential equations; Invariant manifolds for chaotic attractors. Grab a lunch and join us for an OpenSCAD learning lunch, and network with other “birds of a feather” who are interested in learning or pushing the boundaries of parametric design. Absolute beginners and seasoned experts are both welcome. We’ll kick off with a short “Hello OpenSCAD” introduction (bit.ly/1SWeFEF) that will get you up and running in less than 10 minutes while you eat, and have lots of 3D-printed examples of OpenSCAD creations. Then, special guest Marius Kintel, creator of OpenSCAD, will join us by Skype to talk about his development of the software and anything else you’d like to know. I develop 3D printing curriculum for K-12 kids focusing on cross curricular lessons where students get to see their own hand in the printed objects using open source design tools. Co-creator of the course "Make It, Print It, Sell It: Intro to 3D Printing and Digital Entrepreneurship" Design Evangelist Lauren Slowik will discuss how Shapeways EDU partnered with the New York Public Library Tech Connect team to use free resources, networked capabilities and advanced manufacturing to teach new skills to library patrons in person and online. In an effort to replicate efforts like this and grow the potential for open source curriculum this section will feature a "warts-and-all" chat about how we piloted the program, most important learnings, how to act as an advocate within your organization and between the private and non-profit sector for open-source resources and training. The Bauhaus was a German art school in the early 20th century that brought about a new style in architecture and design marked by the absence of ornamentation. The movement aimed to reconcile mass production with individual artistic spirit and create harmony between function and design. Much like the Bauhaus Movement united creativity and manufacturing - the Maker Movement aims to achieve similar goals, only here with 21st century technology that is no longer bound to the elite within a particular school, but open to everyone in the community. The Discovery Corner (DISCO) at El Paso Community College Community has developed a program to provide students, who may think of fabrication machinery to be elusive and complicated, an opportunity to realize their inner maker. We have students and members of the community, with no training in digital fabrication, make all the furniture for an entire new building. The goal and hope is to engage and educate students in the field of digital design fabrication by letting them make human-scale everyday object that they will use and in turn be excited to be autonomous makers themselves. Traditional lecture-centered approaches alone are inadequate for preparing students for the challenges of creative problem solving in the STEM disciplines. As an alternative, learner-centered and other high-impact pedagogies are gaining prominence. The Wabash College 3D Printing and Fabrication Center (3D-PFC) supports several initiatives on campus, but one of the most successful is a computer-aided design (CAD) and fabrication-based undergraduate research internship program. The first cohort of four students participated in an eight-week program during the summer of 2015. A second group of the four students was successfully recruited to participate the following summer. This intensive learner-centered research experience challenged students to employ digital design and fabrication in the design, testing, and construction of inexpensive scientific instrumentation for use in introductory STEM courses at Wabash College. The student research interns ultimately produced a variety of successful new designs that could be produced for less than $25 per device and successfully detect analytes of interest down to concentrations in the parts per million (ppm) range. These student-produced instruments have enabled innovations in the way introductory instrumental analysis is taught on campus. Beyond summer work, the 3D-PFC staffed student interns during the academic year, where they collaborated on various cross-disciplinary projects with students and faculty from departments such as mathematics, physics, biology, rhetoric, history, classics, and English. Thus far, the student work has led to three campus presentations, four presentations at national professional conferences, and three peer-reviewed publications. This presentation highlights initial progress as well as preliminary assessment findings. Gesture-based performance applications are increasingly common on tablet devices but present new challenges for contemporary performers, composers, and improvisers. Starting an iPad ensemble for my University in fall 2014, I discovered that the student performers found it difficult to read traditional scores while sight-reading, rehearsing, and even performing using any application that required continuous visual monitoring and interaction. I clearly needed to find new ways to write and read scores. Through research and experimentation, I have developed new notation systems using 3D printed tactile scores. These tactile notation systems can be “read” by touch rather than by sight, allowing the performer to “read” the score with one hand while keeping eyes free to focus on interactions with the visual interface. Throughout the presentation I will share my perspective on how 3D printing has proven to be a doable and valuable resource for a composer, performer, and music educator. The presentation will conclude with a few examples of representative scores to date, followed by a few brief live performances of études and excerpts using the 3D-printed tactile musical scores. The virtue of 3D printing in an educational context is its versatility to be integrated into any subject area across any grade level, making it an ideal vehicle for STEAM-based learning. By leveraging the mobile makerspace concept with a 3D printer cart that travels from classroom to classroom, 3D printing extends beyond the domain of any one teacher or discipline and becomes a shared learning tool that is applicable and accessible to all. A mobile 3D printing cart can achieve the greatest reach and most tangible impact when supported by training for teachers and a clear articulation of how 3D printing connects organically to curriculum and learning goals. We will offer examples of this 3D printing model in action within a K-12 public school environment in order for educators to leave with ideas on how to more effectively bring 3D printing into their classrooms. Alex is an Applied Technology Teacher who has been teaching 3D printing and CNC machining in the classroom for 13 years. He currently teaches manufacturing, engineering, and research courses. Session 1: Intro to Photogrammetry. In this first session we will cover the technology behind turning a series of photographs into a virtual model. At the end of this session, we will make sure all participants have installed the two-week free trial of the software we will be using for the remainder of the workshop: Agisoft Photoscan. NB:The demo mode does not allow users to save or export their work. Logo is a programming language developed to teach people to think about thinking. Perhaps you remember programming Logo yourself as a student, drawing geometric designs with the turtle. Logo remains a viable, low-floor/high ceiling learning environment for people to explore programming. Logo also provides an interesting basis for personal fabrication projects. 3D printing provides a way to move from digital designs to physical artifacts or tools, a metamorphosis from bits to atoms. Participants will explore Logo programming using Turtle Blocks and learn how to fabricate their designs using Tinkercad. The designs will be 3D printed to create a collaborative sculpture. Participants will learn two different bits to atoms Logo programming workflows. This presentation examines projects that have used 3D printing and CAD exploration as tools to engage youth and local communities in conversations centered on culture, community, and place-making. Looking at a range of 3D printing projects conducted in various settings such as museums, libraries, and out on the street as pop-up events, what are the lessons learned? What are ways to address the issues of long print times and CAD software learning curves in such drop-in settings? We will discuss these issues, as well as ways to create inviting spaces for exploration and conversation through 3D printing and CAD tools. Come ready for a bit of play as we look at 3D print projects that invited the public to improve public spaces, share cultural food stories though artifacts, and honor special people through 3D print Dia de los Muertos calavera de azucar. The blending of classical and contemporary ways of making is quickly becoming required curriculum at elite art schools and studios across the country. I will provide information about how and why I chose to create the program where I did and the advantages it provides for cross disciplinary collaboration with our engineering, career technical education, and digital media departments, philanthropy through our veterans program, and entrepreneurial opportunities through our fab lab club. I will talk about the challenges of creating curriculum for a community college that has students from all different walks of life and everything from retired computer engineers from silicon valley to kids right out of highschool. I will speak to how this helped develop course content and curriculum that keeps more experienced students challenged, yet simplistic enough that the younger students aren't overwhelmed. With an emphasis in design, technique, and material characteristics I'm able to teach collaboration, resourcefulness, problem solving, and time management. Sample curriculum and projects will be provided for all attendees. BA San Jose State University, MFA Indiana University, Studio Art instructor and director of Visual, Applied and Performing Arts Fab Lab and Campus Makerspace programs at Cabrillo College in Aptos California. Designing with Code! Remember telling the Logo turtle to turn left 90 degrees? My middle schoolers started with the classic "draw a square" programming prompt, and within a few classes we were designing bowls and vases with code. Find out how we used Scratch, BeetleBlocks, WaterColorBot, and our 3D printers to apply our knowledge of geometry and calculus. Critical thinking and creative problem solving skills are the most sought after by employers. Encouraging students to take risks and innovate is the antithesis to standardized testing that holds only one correct answer. Students need opportunities to make mistakes and learn from their failures so they can persist when challenges occur and improve upon their original ideas. Many U.S. classrooms don’t allow for creativity and do very little to develop critical thinking. The purpose of this presentation is to demonstrate ways that teachers can begin to change their teaching to support creativity and the maker mindset in their classrooms. 3D printing offers a unique opportunity to bring STEM topics to life in the classroom. Unfortunately, most teachers have little to know training in how to design effective learning activities to make use of the technology. This presentation explores the idea of Prototype Problem-Solving Activities and shows how they can be designed to foster student engagement and learning. Using a constructionism framework and focusing on demonstrating effective ways for teachers to be facilitators, we will explore the potential of the process of prototype creation to learn STEM content. Are you using Tinkercad or Fusion 360 in your classroom? Then Autodesk wants to hear from you! Autodesk loves amazing educators that are changing the conversation in education through making, 3D printing and more. We will be onsite to capture your story on video. If you would like to share your story please email sarah.orourke@autodesk.com to schedule a time. We can’t wait to share your story! 3D printing is an exciting tool that enables individuals to go from idea to object in very little time, and with minimal startup skill. This low barrier to entry allows for the quick iteration of ideas, and allows users to make increasingly sophisticated designs and objects as they build skills. In this session, Daniel Robinson, Associate Director of the Institute for Visual Studies, will discuss ways artists are integrating 3D printing into their creative practice. He will share examples from his 3D Printing for the Arts class that focussed on 3D printing as means to creative ends. When a parent donated a 3D printer to my 3rd and 4th grade makerspace, I jumped at the opportunity to integrate this rapidly evolving technology into my Lower School’s curriculum. After several frantic months of trial and error and a introductory 3D-printing workshop, I designed several 3D-printing projects that enhanced my 3rd graders’ Africa unit and allowed them opportunities to create meaningful and innovative artifacts for their classroom museum. Students designed 3D-printed cookie cutters of African animals and wrote creation tales about them. They also coded geometric designs with TurtleArt and imported them into Tinkercad to create stamps for marking cloth in traditional African Kente designs. During my talk, I will share what I learned as 3D-printing neophyte and what others should know as they begin to incorporate 3D printing into their curriculums. Students today are hyper aware of issues that pertain to their community and abroad. They are not only equipped to join the conversation but also be active and create solutions. With topics like homelessness, inequality, climate change and this idea of smart cities, we are able to use our fab lab to prototype projects that go beyond the classroom. Gabriel-Bello Diaz is the engineering instructor eat TAF Academy, where he has curated a space for 6th - 12th grade to explore interdisciplinary engineering. He will show examples of how to scaffold the conversation and skills as they move through the curriculum. Through combining technologies like 3D printing, micro electronics and laser cutting, students have been able to prototype like industry professionals. Topics of conversation include cultural awareness, arch-adapting, think globally act locally, fab lab culture and community engagement. Diaz looks forward to presenting the projects that have emerged from these conversations and open a dialogue on implementing them into a classroom. Students become highly-engaged in the learning process when they are having fun and can create a product of their own design. We designed lessons that integrated all areas of STEAM in our K-6 school-wide 3D printing initiative. These lessons engage students in collaboration, engineering design, science, math, technology and art. At every grade level students design their own 3D printed objects building on their skill sets. Starting at the 4th grade level students learned to code, utilize the engineering design process, prototyping, peer collaboration, sketching, and sharing their learning with others. Students worked in collaborative groups to sketch, design, prototype and build a 3D printed model of their chosen landform. Teams engaged in discussion and debate over best design practices, as well as collaborating with other groups when problem-solving within their own designs. Students then built upon these skills to create projects with real-world applications and participate in the online 3D printing community and entering online competitions. These students also became ambassadors for 3D modeling in the science classroom by presenting to peers, teachers, and elected officials, as well as providing “tech support” to K-1 students beginning their 3D projects. Link to slide and teaching materials I shared during the talk. Curricular uses of 3D printing in an undergraduate setting. 3D printing library-classroom curricular collaborations. Session 2: Digital Construction with Photoscan. In this second session, participants can bring their own object or use one of the objects we will provide to walk-through the process of making a 3D model with Agisoft Photoscan. NB: The demo mode does not allow users to save or export their work. The presenters will discuss the various phases in the development of an award-winning functional model of an autonomous algae skimmer submitted for the Community College Innovation Challenge sponsored by the National Science Foundation and the American Association of Community College. Specifically, they will discuss how the student designers used their classroom and extracurricular knowledge to incorporate 3D-printed parts, parts from a toy kit, motors, and various other objects in the model; how the students collaborated on troubleshooting and fixing design flaws; and what they learned from the experience. They will also discuss how to incorporate a similar innovation project as part of a project-based learning activity. They will use the actual functional model to illustrate the major points of their talk. In this session, I will outline some strategies we have used to move 3D printing from a one teacher show to more of a school wide experience. I will focus on how building a realistic infrastructure backed by good workflow and a bit of inspiration can help others in your school to see the power 3D printing has to change learning in your school. I will outline some cool projects we do, the setup we have done to enable the capacity and some inspiring words, pictures and 3D stuff. Digital fabrication is poised to change the architectural design industry in both compelling and concerning ways. Virtual and physical spaces, objects, and designs are on a converging path. Understanding the skillset inherent to this intersection is key to engaging the opportunities and developing designs that are not driven by, but inspired through the use of digital fabrication. In his book Change by Design, President of IDEO Tim Brown discusses three overlapping courses of a project describing an “inspiration space, ideation space, and an implementation space” each of which build a comprehensive design process. Adding a digital fabrication process to these first two phases of design (inspiration and ideation) builds stronger critical thinking, and has the possibility of building a stronger customer value proposition through new forms of communication and education. The implementation space that Tim Brown discusses though is an entirely new mode of development for designers outside of the “design-build” business model. Final implementation of the physical forms through digital fabrication of a design has incredible potential to significantly increase project scope, build office backlogs, and construct a bridge toward retail markets previously unimaginable at a wide scale within the design industry. In this study, Stepan Paul and Monica Mendoza aim to construct a model for the processes by which students in a multivariable calculus class conceptualize unfamiliar solid regions in three dimensions. We designed and recorded student work from several tasks in which students must decode a description of a solid figure and answer questions assessing the strength of their conception of the figure. We will share findings from the analysis of interviews and group work on one of these tasks, in which students must decide which of two 3D printed solids corresponds to a given set of inequalities. Learn how to make models of any molecule, simple or complex. The workshop will begin with discussing how to locate and download three dimensional molecular files for a small molecule and a large protein. Using free molecular visualization programs, we will then generate multiple versions of each molecule based on various types of representations commonly used in science classrooms. We will then discuss how to refine these representations for the highest quality and how to convert the files into a format compatible with commercial 3D printing software. Finally, the workshop will focus on parameters for the 3D printer that can be optimized to increase the quality of the models, minimize the amount of plastic needed and save time in the printing and cleaning up of the printed models. Digital fabrication can transform research - enabling rapid iteration and experimentation to deliver . Matthew Borgatti, who develops and fabricates squishy machines at Super-Releaser the soft robotics and compliant systems design lab, will be talking about using digital fabrication to prototype novel mechanisms and solve complex problems through rapid iteration. He’ll be discussing learning from quick experiments using digitally fabricated tools, scaling from prototypes into small and then large scale manufacturing, and how to choose the right fabrication method to suit the underlying problems that need to be solved by a design. Stuck on how to use your 3D printer with the youngest students at your school? In a downtown Manhattan school, students as young as 2nd grade have been creating their own designs for projects that align with the science curriculum. Some of these projects include a cargo boat challenge, a skyscraper research project, invention prototypes, glider testing, and cell organelle creation. Elementary science teacher Paul Schmitz has also developed a variety of mini challenges that can be applied to create an after school club based around 3D printing for elementary schools. These are all done with kid-friendly programs such as Tinkercad, Thingiverse, Blokify, and 123D Sculpt. He's here to prove to you that digital making can start at any age! Paul Schmitz is a K-4th Grade science teacher at Léman Manhattan Preparatory School in New York City. He is in his fourth year applying 3D printing to the elementary science curriculum, and he has also been leading an after school club centered around 3D design. Makers are often identified as with those with high levels of artistic and technical skill. But many people live in settings of poverty, with few educational options. A unique program from the University of Illinois provides a pathway for these individuals to create and “make” to improve their livelihoods regardless of their literacy or resources. Session 3: 3D Printing and Applications. In this final session, we will clean the virtual model and export it as an STL for 3D printing. Further, we will introduce Sketchfab, a popular online repository of 3D models where objects can be displayed online. Marius Watz, artist and educator, discusses 3D printing and computational design in creative practices. From data-driven designs to custom software tools and hardware hacks, he will explore how new fabrication technology enables unique forms of expression. A long-standing member of the Processing (processing.org) community, Watz will also discuss Open Source tools and teaching code for digital fabrication. The use of 3D printing in the classroom helps brings engineering to life. By engaging in problem-based work, students gain applied knowledge that develops critical thinking skills as well as real-world experience. This session will explore how Palatine High School uses 3D printing as a critical component of our STEM-based curriculum. It will also explore several projects the school has undertaken including building functional combat robots. This session will also outline how an accessible manufacturing method like 3D printing provides students the opportunity to go through the entire design process from start to finish. By printing functional parts, students can experiment with modern materials, test their designs, and gain experience that would have been not have possible without this technology. Would you rather develop an assistive device, develop an educative product, or develop your own product idea? Those are three topics among students of the 3D Printing class in Atlantic University College have to choose to develop during their final project. Consistently through the past 18 months, 72% of those students chose to develop projects that could potentially lead to positive social impact over developing their own commercial product ideas. This presentation tells the story of those projects and the challenges behind a continually transforming 3d printing class for millenials interested in investing in social impact while learning hands-on. 3D Printing has the potential to revolutionize the way in which products are made, bought, and sold. However, 99.9% of the world has never actually seen a 3D printer or know how to use it. Thus, there is a need to teach the world how to 3D print. To help accomplish this goal, we recently developed and launched a 3D Printing Specialization via Coursea. The courses are developed in a unique academic/industry collaboration with Autodesk and Ultimaker as lead partners, and platforms such as Shapeways and 3D Hubs as fulfillment partners. In less than 6 months, over 10,000 learners have enrolled in this specialization. During this presentation, we will discuss the origin and impact of this specialization and share insights about what we have learned thus far about the global market for 3D Printing education and how others can share our vision for bringing 3D Printing to the world. 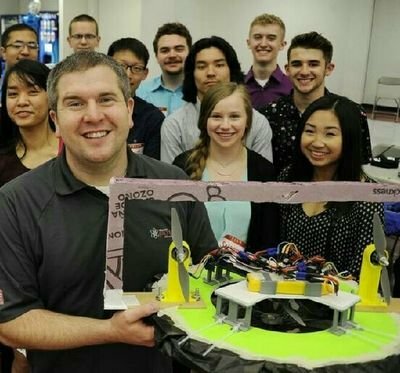 3SPACE (3 Dimensional Solid Printing Active Classroom Experience) at James Madison University is the first 3D printing classroom in the country built for general education courses that are open to all students and departments at the university. The classroom features consumer level filament printers in a hands on environment with at most two students per printer, and since Fall of 2013, has hosted a wide variety of events, both for the university and for the general public. Our flagship course is a one credit general education science lab that has been taught every semester for the past four years. This presentation will outline some ways to teach such a course from a general scientific perspective. We will cover a variety of options, including 3D design programs (all free for educators and students), assignments, group projects, common complaints, and ways to make the class more or less `scientific'. Wearable objects and state-of-the-art technology no longer belongs to science fiction, it can be accomplished by 3D printing. The evolution of digital and 3d printing has transformed many aspects of our lives pleasure, industry use and academic. This project is planning to conduct a serious of DIY and create wearable items as pleasure. The final goal is to achieve useful application. From our 3D printing experiments in practice, we can distill several core concerns behind student’s engagement with DIY and craft. In the practices of playfulness and material engagement, we can find an underlying concern with pleasure. With the increased participation of small businesses in Maker events, and the many examples of DIY in development, we foreground utility. We should design to take advantage of the means of production that best suit our design goals and realize that different parts of even the same project or artifact may be best produced in very different ways. Kaimi Kajiyama is a senior at the University of Hawaii at Manoa, majoring in Fashion design and merchandising, and conducting undergraduate research in 3D printing and 3D body scanning. Numerical Analysis is a fundamental course for Applied Math Majors and an elective for many CS majors. In Numerical Analysis course, students learn many of the basics of scientific computing including: creating interpolating polynomials, numerical integration, solving optimization problems, and MATLAB. In this talk, I will present a bottle design project from my Fall of 2016 class. Over the semester, students designed a bottle using the methods we learned in Numerical Analysis. We used a 3D printer to create tangible versions of their bottles and checked their calculations. As part of their final grade for the project, students had an exhibit and wrote a short reflection on the process and challenges of creating an attractive optimized bottle that meets given specifications. Mathematica has amazing graphics and design capabilities that I have been using to design 3D works of art and teach my students the same. I will discuss the commands and techniques that I have found useful, along with the frustrations and work-arounds that I have has to institute in order to cajole Mathematica into creating (and then exporting!) the desired artwork. I will also focus on how I teach my students these same methods. NOTE TO ALL ATTENDEES: THIS SESSION HAS BEEN CANCELED - THE PRESENTER HAD AN UNEXPECTED SITUATION ARISE AND WILL NOT BE ATTENDING THE CONFERENCE. PLEASE FEEL FREE TO CONTACT HIM BY E-MAIL FOR AN UPDATE ON THIS WORK. SORRY FOR THE INCONVENIENCE. 4) Generating 3D printed molds to allow rapid and inexpensive replication of physical 3D models. Providing the anatomically-correct models in various formats should serve to address varying student learning preferences as students can explore structures using a variety of methods. An additional proposed benefit is that generation of 3D models (both virtual and physical) from medical images will enhance student ability to mentally synthesize individual 2D medical images into 3D structures as they will have access to both. Leveraging the ability of 3D printers to produce molds as well as original models, and VR viewers that can be used by any student with a compatible mobile phone, we can remove temporal and spatial constraints typically imposed upon students as they learn about these structures. Digital fabrication can encourage students to work collaboratively, stay focused on goals, and develop 21st century skills, while creating interesting products. I will discuss how development of manipulative sketch objects improves spatial reasoning and sketching skills. I will also talk about how we have developed a student maker group willing to train their peers and teachers in the art of digital fabrication. There will be a display and explanation of Davidson Desktop Doohickey Puzzle Cubes (term final projects), sketching manipulatives for Introduction to Engineering Design students, and some of the products that student makers at Riverside High School have completed at the request of various faculty and staff members. These same students have gone on to develop and implement training sessions and videos for our Ultimaker printers and ShopBot Desktop MAX CNC routers. Our students are an integral part of managing the digital fabrication resources in the RHS engineering labs. Modelling complex real world data, such as terrain elevation, can allow for unique observations and understanding of landscapes. This workshop will teach two methods of creating 3D printable models of elevation on the earth’s surface, one using a simple web application and the other using the GIS software ArcScene and a Digital Elevation Model file. There will be a hands-on activity using the web application and a simple app based editing tool (Meshmixer). This exercise would be suitable for classrooms to enhance understandings maps and elevation, as well as building tactile models of landscape for alternative means of experiencing map data. As educators, we want to empower students to succeed. In a constantly-changing digital world, that means building and supporting technology literacy in our students. But when faced with limited time, tools, and other resources, how do you engage your students in emerging technologies? What do you do when the traditional model for technology education won’t work in your context? In this hands-on workshop, we’ll examine a low-tech “concept breakout” framework for developing technology programs when faced with resource constraints. We’ll break down the process of 3D printing into individual STEM concepts like phase changes, structural engineering, and coordinate geometry. We’ll explore low-tech ways of engaging students in these concepts, using low-cost materials like hot glue, building blocks, and yarn. At the end, we’ll discuss how these activities can be adapted for a variety of age groups, and how the “concept breakout” model can be applied to other technologies. Learn how to get the most out of your classroom 3D printer by developing creative lesson plans that incorporate art, technology, design, science, and math. We will examine ways to blend art and technology in practical ways and look at interdisciplinary applications that will be relevant to K-12 teachers in any subject area. Examples of student prints and lesson plans will be shared to help get you inspired to create your own projects and lessons. Edmund Harriss is a Mathematician, teacher, artist and maker at the University of Arkansas. His research ranges from robot control to creating coloring books of mathematical images. Talk will showcase a simple way to help students document their work while they use the engineering design process to solve problems. A few Construct3D attendees were interested in visiting a local Makerspace, and SplatSpace — previously known as Durham Makerspace — in Downtown Durham is willing to open their doors for anyone interested in looking around between 5:30-7:00pm. The space is about 4 miles away from the JB Duke hotel, and as this is an extracurricular activity, transportation is self service. About SplatSpace:We have a physical location in Downtown Durham where members can access physical space, basic tools/parts, and a community of passionate people. We hold weekly and monthly classes, events, and get-togethers to celebrate and share our strengths, learn from each other, and collaborate on projects of interest to members. We are a community of hackers, makers, tinkerers, teachers, and students: Our ultimate goal is to reach out to each other and the surrounding community to share our passion for art, technology, and innovation. Through sharing this passion, we will ultimately build a community that uniquely contributes to the technical and artistic vibrancy of Durham, and the Triangle as a whole. If you have an Ultimaker, you may know that it was made in Memphis Tennessee, but did you know that Ultimaker was born in the Netherlands? Come hang out with and meet the members of Ultimaker's Global team, Sander van Geelen and Marcella van den Burg, direct from the Netherlands and North American Community Team members Matt, Liz, Luis and Meaghan. Have a drink with us, find out how you can become part of the community, talk about the Pioneer Program—the current version and what a global version could be—and meet other community minded educators. Design and engineer challenges can be daunting for youth, even without throwing 3D printing into the mix. Where do you start? This presentation shares effective ways to scaffold student explorations in 3D printing design challenges and project journeys. Building a collaborative, and exploratory class environment is key. When students share process stages and hurdles, a collaborative problem solving environment can be built. By highlighting the importance of process and workflow through journaling, labeled design iterations, print fail forensics, and low resolution model making, we can help students build perseverance and the drive to develop design iterations. We need to invite students to be open to seeing design inspiration everywhere (such as in the latch of a make-up case, the assembly design of a dog toy, and in the built space design solutions of ancient cultures). The result of such project journeys can be increased interest in STEM and STEAM careers, as well as increased student confidence in creativity and problem solving skills. While makerspaces have been popping up in schools all over the country, engaging engineering focused students, 3D printing can also be a useful medium for humanities-focused students to explore history, art, politics and other disciplines. Passionate humanities students with a firm foundation in additive manufacturing will be able to bring their knowledge and new innovative insights into their own fields, transforming the humanities and bringing new innovative insights into their own fields and into expanded cross disciplinary fields. Most often, students are introduced to 3D printing in the context of an engineering or robotics classes. These students are already interested in technology. If 3D printing is introduced as a humanities reflection tool, it can engage students who many normally not be excited about technology. From my personal experience, 3D printing has been an important tool for deeper academic explorations, both in and out of school. 3D printing helped me develop a new perspective through which I can explore and fuse my passion for history and art with engineering and technology. My 3D printing experiences has made me a more curious and engaged student in both humanities and technology, and I believe it can help other high school students as well. Exploring the power of 0 things to engage students in researching, designing and sharing 3D models related to content areas, social justice and equality. Even with over 2 million things, searches of popular 3D printing repository Thingiverse often find 0 relevant models for instructional topics. Each empty search is an exciting opportunity for students to contribute to the world. Viewing of "Most Likely to Succeed"
Most Likely to Succeed is a documentary that convincingly makes the case for changing our outdated education system, and focuses on High Tech High in San Diego and its PBL-infused program. The executive producer is venture capitalist Ted Dintersmith, and Greg Whiteley produced, wrote and directed this lively and dramatic story that appeals to both hearts and minds. Dintersmith also co-authored a book with Tony Wagner with the same title. Protein and RNA molecules (biopolymers) are the machines of the cell and life would not be possible without them. These molecules break down food so that it can be used to keep the cell alive, copy the DNA of the cell every time it divides and make up the pathways that regulate all cellular functions. Each of the tens of thousands of protein and RNA molecules in human cells has a particular function, which is determined by its unique 3D shape (conformation). Previous Nobel Prize-winning studies have established that this unique conformation is determined by the amino acid sequence of a protein and the nucleotide sequence of the RNA. My research has focused on how these molecules fold to this unique shape and I will demonstrate a macroscopic model of such a folding reaction. Energy landscape theory is one of the most useful conceptual breakthroughs in our understanding of how proteins and RNA fold. It is best represented as a 3D funnel with multiple local minima. 3D printing of such a representation allows the dynamic distribution of small spheres (representing individual molecules) on the landscape to demonstrate both the energy-based (i.e., Boltzmann) distribution of molecules and the rate and path by which they discover their equilibrium positions (i.e., kinetic mechanism of folding). I have constructed several such physical landscapes and will demonstrate their utility for teaching undergraduate, PhD and medical students during my presentation. I will also use the demonstration to describe how sometimes proteins misfold, which can lead to neurodegenerative diseases such as Alzheimer's, Parkinson's, ALS and others. 3D printing has shown to expand the potentials of the creative and innovative minds of today's tech-savvy generation. This presentation will cover how East Stroudsburg University's Art + Design Department is taking its 3D printing program to the next level in curriculum development and leading future generations into limitless worlds of possibilities. Explore examples of how to transform a space filled with traditional facilities to a high tech and cutting edge 3D printing and additive manufacturing lab, utilize best practices of grant based and philanthropic funding and gain advice on how educators can acquire necessary professional development. Learn how to sustain a lab with in the educational institution by combining incoming resources from community industry partners through service learning initiatives that provide opportunity and experience for the students. Learn about how you can use the prototyping process and digital fabrication tools to develop devices for scientific research and communication - no experience necessary! We'll discuss a case study from the Polsky Center Fab Lab at the University of Chicago and talk about how it applies to projects that can be created in any makerspace. The Fab Lab facility operated by the University of Chicago seeks to educate students and the community about state-of-the-art digital fabrication, including 3D printing, for the purpose of prototyping for entrepreneurship and innovation. It offers courses, mentoring, and access to professional grade equipment. Last summer, three local high school students interning with the Institute for Molecular Engineering also learned fundamental concepts of design and prototyping. The project, co-supervised by a faculty member at the University of Chicago and a mentor from the Fab Lab, consisted of creating a custom device to stretch polymer films by a small, precise amount. Using the Fab Lab’s resources, they 3D printed custom gears, laser cut an electronics enclosure, controlled a stepper motor with an Arduino, and soldered circuits. They learned about the real-world process of prototyping and iteration. At the end of the summer, they had a successful device that could be used in the Lab. That device is now being used routinely for advanced research purposes in professional settings, and it has been copied by other laboratories and researchers seeking to pursue advanced materials characterization. Understand the basics of how resin 3D printing works, and how you can affordably build your own DLP resin printer from old classroom equipment. This session will include the basic concepts and chemistry that make resin printing technology possible. It will cover some of the resins and materials that are available, as well as the mechanisms and electronics that make these printers tick. Aside from talking about the DLP resin printers that are out in the wild, we'll also touch on some of the other technologies like LCD printers that use daylight resins, the viral CLIP printer technology, and laser galvanometer style printers. This session will also touch on how you can design and build your own DLP resin style printer from a retired classroom projector. The design is 100% open source, and uses open hardware components and electronics. It is fully adjustable, and intended to accommodate a range of different projectors. This machine was also designed to use as many off the shelf parts as possible that don't require specialized skills or tools to build. In this session, a number of stories will be shared about youth enterprises that have resulted from access to 3D printing. The stories will feature youth who have presented their businesses to President Obama and youth who have continued their 3D printing businesses into adulthood. I will share lessons learned, how to take advantage of learning opportunities that are presented in entrepreneurial efforts, and the impact we’ve seen in these youth. For all of the discussion at Construct3D about the opportunity a desktop 3D printer presents to educators, we spend far too little time deeply exploring the nature of the eccentric polymers that are themselves "the 3D stuff your dreams are made of." This panel brings together a dream team of filament manufacturers and experts to share insights into how thermoplastics, thermoelastomers, composite materials, etc, are produced, strategies for how to make better use of standards as well as "exotics," and why 2017 will be the most exciting year for desktop 3D printing materials to date. There are many materials you can process through a desktop 3D printer these days, and a number of 3D printer models engineered specifically to better handle a broad range of material types, properties, and temperatures ranges. This panel will aim to address key topics for materials that can be applied to all FFF-style desktop 3D printers. Using the open source 3D printer server package Octoprint, paired with an inexpensive Raspberry Pi computer, participants will learn how to effectively manage their printers, files and jobs in the classroom. Participants will get to setup Raspberry Pis, install Octoprint and interface with a printer. Finally, a few example scenarios and workflows will be shared to demonstrate the power of Octoprint. This hands on workshop will share practical knowledge gathered from the use of Octoprint in the classroom. Ryan Barnes is the Middle School DREAM Lab Coordinator at The Baldwin School in Bryn Mawr, PA.
With the help of recent 3D printing technology, I was able to create a 3D print statue based on my digital work. The statue is 21" tall, including more than 90 parts, and took 800 hours of printing. The presentation will include the following. 1. How to set up a digital sculpt model to print ready. 2. Slicing the model, adding joints/insert parts. 3. Working on multiple pieces to create complex print. My background is from traditional sculpting, and I moved to Digital art. I believe that this work can be a good example of the new digital art format that eventually returns to traditional form. While I was printing this work, my focus was to gain most of the details and form from my digital piece, and I am very proud of the result. I have some more print work, and will like to submit more if it is possible. Bluesmith is Duke University's solution to 3D print job management and billing. Internally developed and open source, this application is available to anyone that wants to download and use it. Bluesmith helps lab staff connect with their clients and keep track of all the file uploads and service fees that come from managing 3D printers in a collaborative setting. Matthew Gatner (developer of Bluesmith) will talk through some of the features and design decisions behind the app, and offer a walk-through demonstration of using the app in a real-life scenario. In this session participants will explore the multiple approaches to teaching faculty 3D printing at James Madison University. Whether through an experimental sandbox experience, a scheduled workshop or a Tinker Thursday session, faculty learn everything from how to push print on a pre-made object to scanning or designing their own object. Participants will walk away with details on how these programs are set up and run. Starting in the Spring of 2015, York College embarked on two separate NASA funded robotic initiatives, the Robotic Mining Competition and the NASA Swarmathon Competition at the Kennedy Space Center in Florida. As the recipient of two NASA funded grants, an interdisciplinary team of students and staff go head-to-head against the best engineering institutions in the country. Exploring and pushing the boundaries of robotic mining technology and programming destined for Lunar and Martian soils. 3D Printed Designs and Rapid Prototyping techniques combined with C.O.T.S (Commercial Off the Shelf Technology) derived from our research will potentially be assimilated and incorporated into mining platforms key to the future colonization of the Moon and Mars. Initially placing 35th out of an initial group of 150, this presentation will explore the design, creation, and development of the the "non-engineering" York Astrobotics rapid development program. Using photos, video, and demos of the digital fabrication technology employed, this presentation will discover how an interdisciplinary non-engineering team from Queens NY was able to quickly compete with some of the best student engineers in the nation. While 3D printing continues to rank among the most significant and quickly maturing technologies in the professional world, logistical challenges and perceived irrelevance for many fields have limited its use in the classroom. This is true even in the teaching of art history and archaeology, where frequently the materiality of objects is integral to their interpretations. Our presentation will outline the potential benefits and challenges of using 3D printed objects and 3D printing activities in the study of visual and material culture. Focusing on examples from our teaching and making work, we will consider the practice of 3D printing art historical and archaeological artefacts through the lens of well-established theories of teaching and learning such as critical making and experiential learning. In addition, the value of advances in 3D printing technology (e.g. metal and ceramic filaments) for teaching with, and about, historical objects will be highlighted. Veronica is a CLIR Postdoctoral Fellow in Data Curation at Vanderbilt University. She completed her Ph.D. in Classical Art and Archaeology at the University of Virginia, where she held Praxis (2013-14) and DH (2015-16) Fellowships in the Scholars' Lab. The Purdue Polytechnic Precision Measurement Lab 3D printed test coupons for impact tests, tensile tests, and torsion tests using various 3D printing filament materials. The materials tested included ABS, PLA, Bronze filled PLA, Carbon Fiber filled XT, Co-Polyester nGen, Polysmooth, and a Hemp based filament. Multiple samples of each material were then tested to determine the various strength attributes of the materials for comparison. Two batches of test coupons were tested for the Polysmooth material. One batch was tested directly after printing and the second batch was tested after it had been smoothed in a Polysher (an isopropyl mist chamber for smoothing the surface of Polysmooth printed parts). This presentation will share the results of the testing and images of the tested parts which taken with a digital camera equipped microscope. Dr. Padfield is not affiliated in any way with of the manufacturers of the materials tested. All material and equipment (the Polysher machine) was purchased online at the full advertised price. Dr. Jon Padfield works in Purdue University's Advanced Manufacturing Center of Excellence where he teaches Industrial Engineering Technology (IET) courses. Dr. Padfield also conducts research on 3D printing and post printing treatments to increase the strength of printed parts. Formlabs is the market leader in desktop SLA 3D printers. During this session, we will discuss the knowledge gap issue every 3D printer manufacturer faces. We will share the efforts we are undertaking to close this gap, and we will show the magic that can happen when these efforts are successful. Of special focus will be advances in medical and dental technology that we have seen and experienced when old industries adopt groundbreaking new technologies. As a 3D printing teacher and 3D design expert, I love to talk about anything related to CAD and the future of education. At Formlabs I am responsible for help center content, webinars, and training videos. Manage the entire 3D printing process from a single platform with 3DPrinterOS you have an easy-to-use interface that works across the majority of 3D Printers. Top US schools use our single-sign-on compatible platform to manage users, 3D printers, print queues, design files, and material expenses from a central platform. Feel comfortable in growing your program knowing that you won’t have to dedicate time and resources to additional training on a completely different workflow for each printer type. 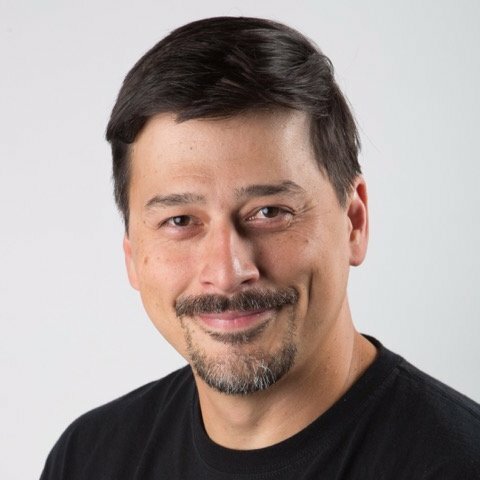 John Dogru – CEO - Chief Architect, Co-Founder | 2X Startup founder, Lead Engineer at Dell, Designed Zero-time Automated Manufacturing Systems, Internal Auditor, Corporate I/T Security, Computer Sciences / Electrical Engineering, University of Texas Austin EE/CS, Cranbrook. A natural history museum exhibition currently in production focuses on functional morphology as it operates on a micro scale. Historically, tiny biological specimens have been underutilized in museum settings, primarily due to the difficulty of displaying them. Optical magnification equipment is costly and prone to damage. One visitor examining a specimen can obscure viewing by others in the gallery. Visitors often have a bias favoring three-dimensional objects over two-dimensional images which limits the appeal of microphotographs. To test responses to features produced with this technique and to evaluate exhibit content, outreach to various groups including elementary, middle school and high school students, science teacher associations, and museum professionals has been undertaken over the past two years. These interactions suggest that this technique is a very effective tool for creating visually engaging and tactile models of otherwise inaccessible anatomical and morphological features that have utility in both formal and informal educational settings. In addition to wood, clay and paint, in recent years 3D printing has become a basic material at the City and Country School in New York City. Exploration with this technology is giving our students a new dimension in modeling their ideas and actualizing their designs. See how 5th and 6th graders at our school are using 3D printing to make meaningful connections with their social studies curricula. Student projects to be discussed include: Mesopotamian themed cylinder seals, Medieval wax seals, movable type for the school’s 19th century printing press, Viking themed chess pieces and Renaissance architecture. Ian Klapper is the Technology Integrator at the City and Country School in New York City, New York. A panel of digital fabrication professional designers share experiences introducing desktop 3D printers into challenging, high-profile projects with clients and collaborators. We will start with a discussion of the state of this desktop technology in the current professional marketplace, and the software and fabrication strategies that these experts use to keep their projects afloat. We will then explore the evolving role of this ever changing technology in the design studio, how this class of tool helps (and hinders) communication with clients unfamiliar with design for manufacturing best practices, and what educators (and their career-minded students) can bring into the classroom, suggested by how these professionals invent and iterate 3D projects. Ready for your students to imagine, construct, create and innovate with 3D printing? Not sure where to begin? Join us for a nuts and bolts maker session of active learning. We’ll cover methodology and pedagogy of digital fabrication and learning for the K12 classroom. You’ll have hands-on experience with 3D printers and scanners and have the opportunity to explore other digital tools of the STEM Maker Lab including coding, robotics, circuitry and electronics, micro-controllers, augmented and virtual reality, and invention kits. Get ready to integrate 3D printing and other digital tools with your own curriculum! In this presentation, 3D Printing and Digital Fabrication in a Design Curriculum, participants will come away with new ideas for using 3D printing and scanning in a design thinking paradigm.The foci will be on Charter High School of Architecture and Design’s working relationship with Pennsylvania Museum of Archaeology and Anthropology at the University of Pennsylvania in Philadelphia.The Penn Museum and CHAD students have been working closely since last year to 3D scan and print artifacts from their permanent collection so that visually impaired students and guests can enjoy the museum using replicas that are able to be handled and used in the museum and in the field.The presentation will also discuss the use of design thinking in reference to digital fabrication and 3D printing in a design curriculum.Several projects will be referenced such as a Community Chess set, TurtleArt, and other maker-based design thinking curricula. At the intersection of digital fabrication technologies, human-centered design practices, and constructivist orientations to domain-related thinking and learning, students and teachers are afforded a host of expanded possibilities. As education researchers exploring how these technologies might be used to engage students and teachers in new learning experiences, we hypothesized that a digital design and fabrication approach to pedagogical, technological and curricular exploration aligns with the kind of progressive, inquiry-oriented pedagogy we aim to cultivate in K-12 teachers. Moreover, we anticipated that this engagement would diversify pathways for them to understand the complex challenges of teaching and learning, prepare them for a STEAM-infused changing world, and support the development of their 21st Century skills. In this presentation, we will facilitate a discussion about the potential of digital design and fabrication experiences within teacher preparation and professional development and share findings from our research into design practices we created for pre-service and in-service teachers. We’ll also share we’ve learned about the knowledge these teachers bring to bear on their design work and the implications for their pedagogy. We draw on these findings to suggest the promise of a digital design and fabrication experience within teacher preparation and professional development. Where: BeAM@Murray Hall and BeAM@Kenan Science Library -- Point your GPS to 100 South Rd., Chapel Hill, NC and look for the Construct3D/BeAM signs. Parking is free on weekends. Follow the wayfinding signs into Murray Hall. We will be offering small group tours on a rolling basis so please drop by Murray when you are able and then stroll over to Venable Hall G301 (across the courtyard and down one level) to see their design and modeling center, co-working and makerspaces, and the handcrafted UNC Periodic Table of the Elements. Take 3D design files and machine them with subtractive technologies. In this workshop, participants will import 3D design files (.stl or .objformat) into Vectric CAD/CAM software and prepare them for machining in wood, foam or plastics. We’ll talk bits, feeds, speeds, and toolpathing strategies.Topics of discussion will include how to integrate digital fabrication (additive and subtractive) with Common Core, NGSS and Project-Based Learning. THIS EVENT IS OFF SITE: Transportation – Join the carpool sign up for the tour and stay for the training, or come on your own. We’ll get make arrangements to get you back to the JB Duke Center or to the airport after the training if you need a ride.